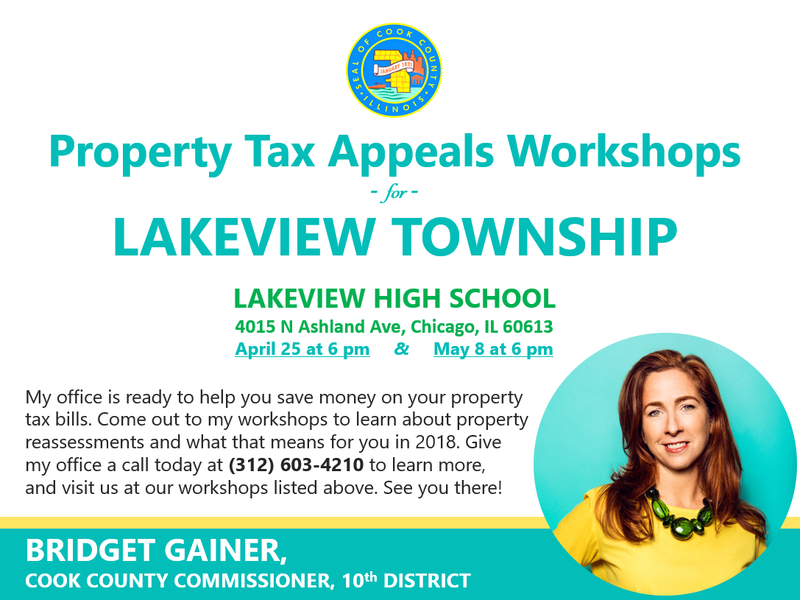 "Starting April 30th, you can appeal property taxes in Lakeview Township. This window will last until May 30th. For more information and/or one-on-one help with your tax appeal come to one of my workshops at Lakeview High School on April 25th or May 8th at 6pm. As always, please call my office at (312) 603-4210 for any assistance."